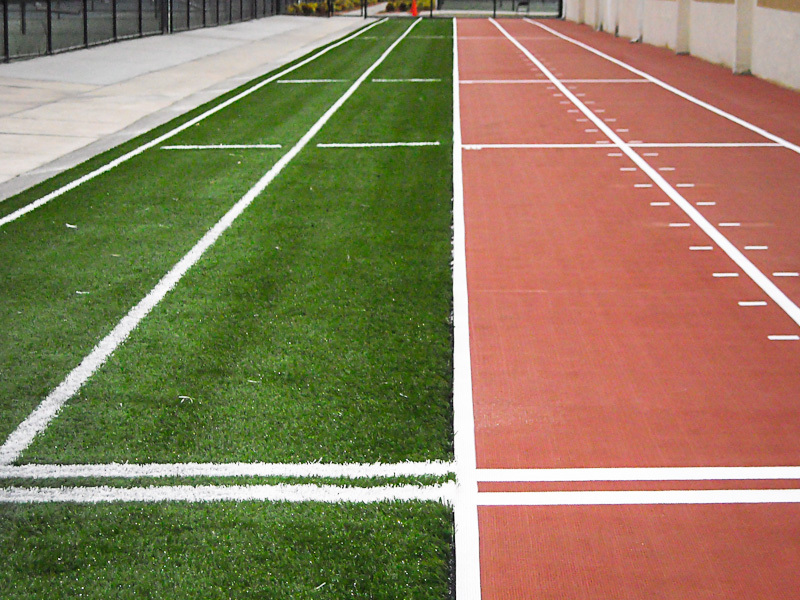 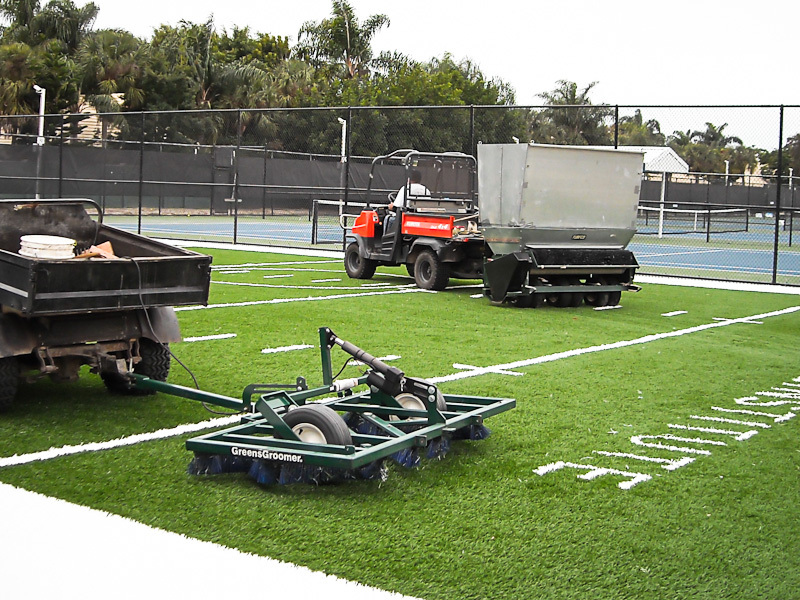 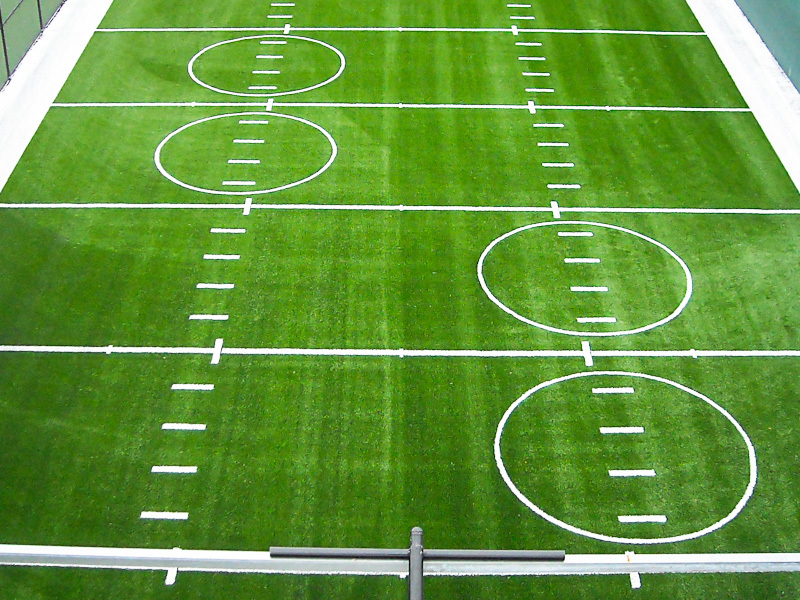 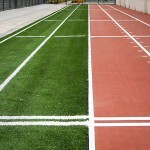 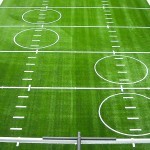 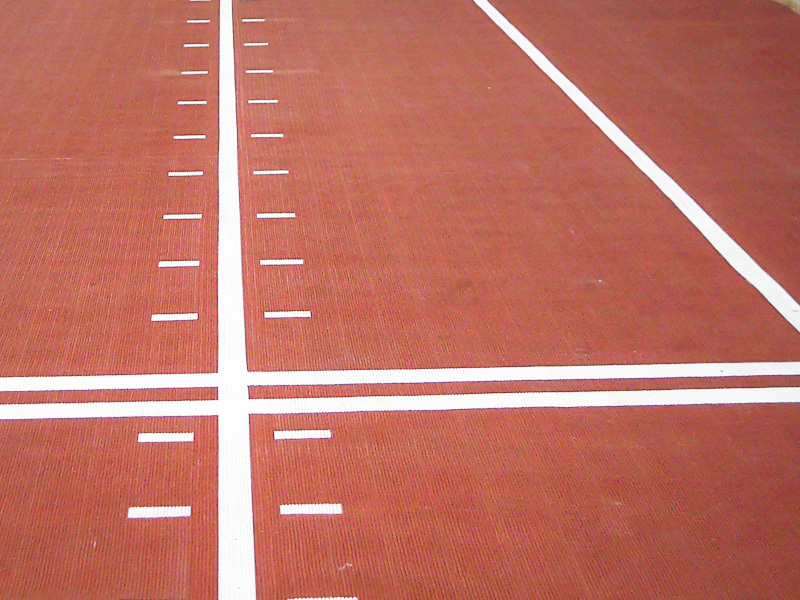 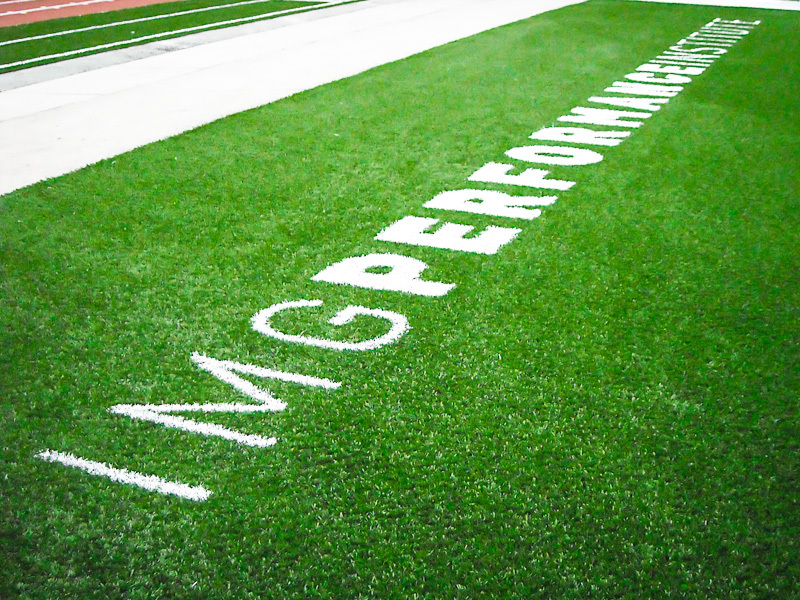 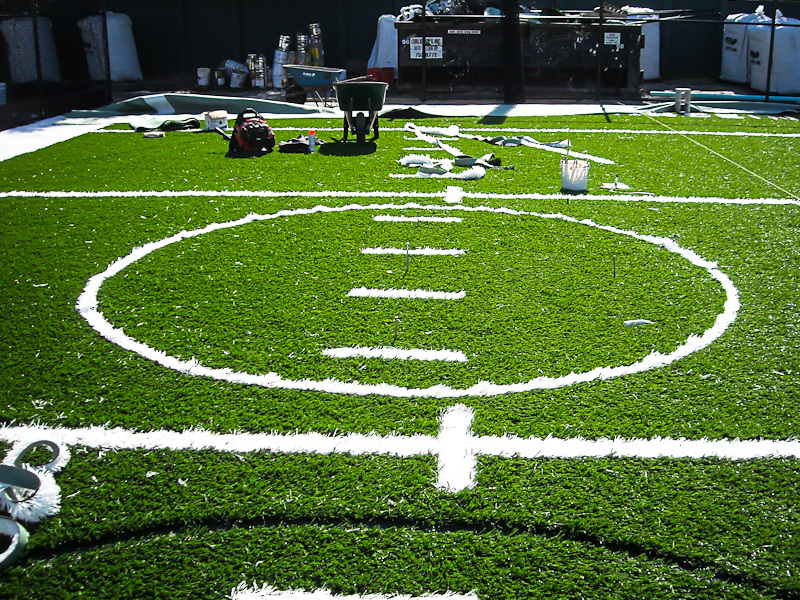 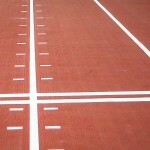 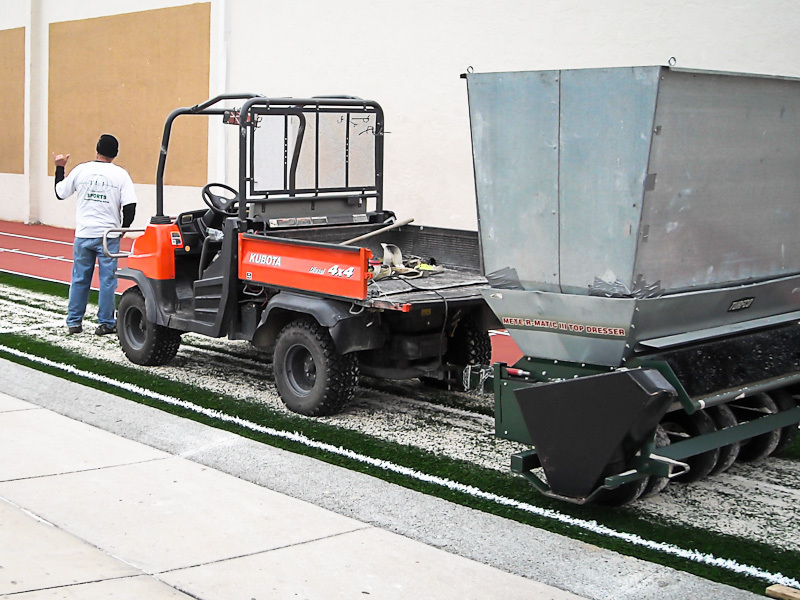 PROJECT DETAILS: Athletes preparing for the NFL combine at IMG trained on a brand new four-lane sprint track that features two synthetic turf lanes and two competition track lanes. 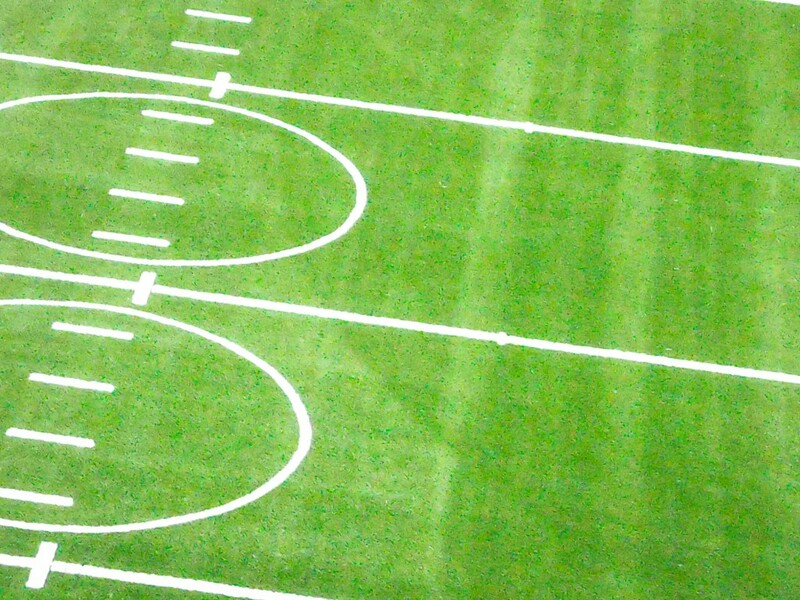 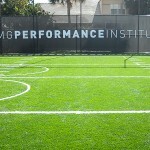 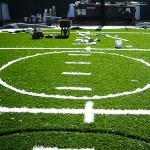 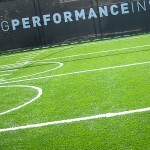 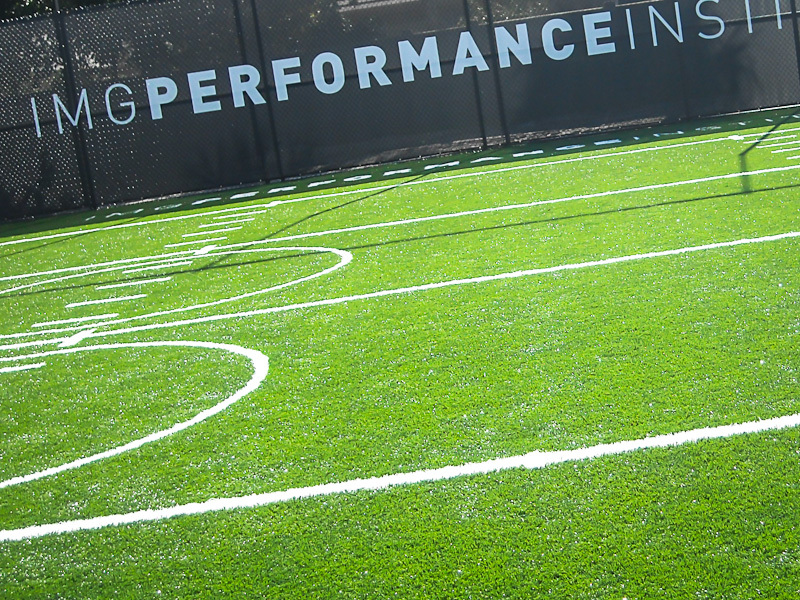 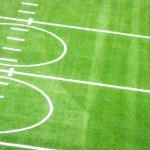 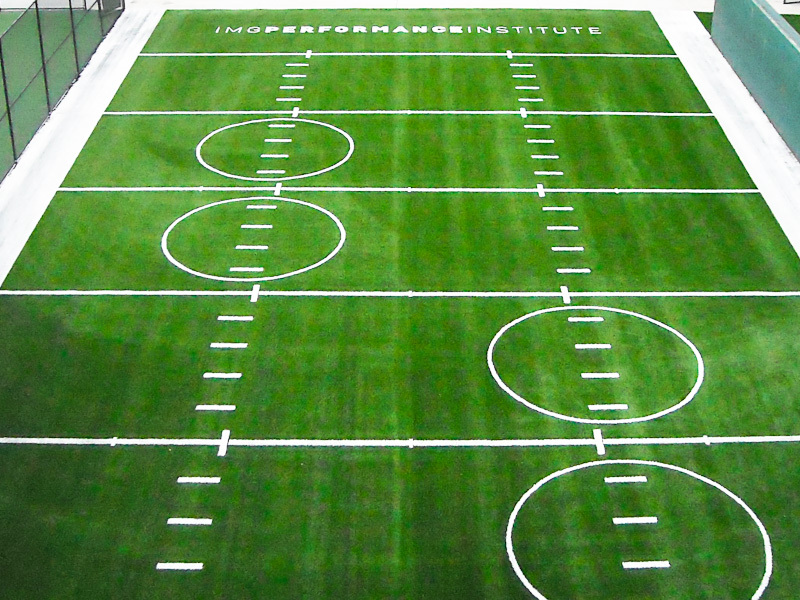 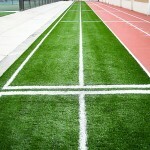 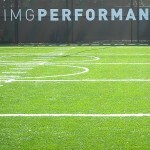 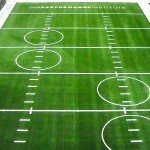 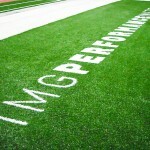 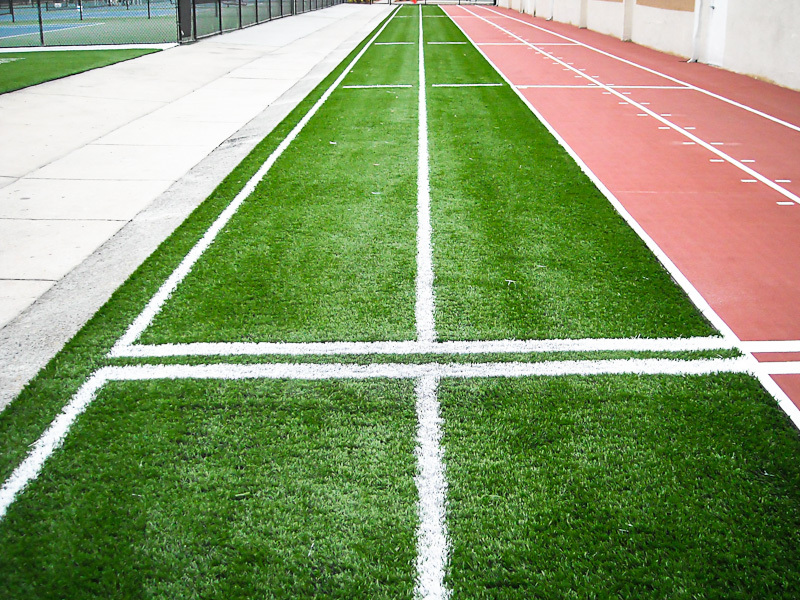 Adjacent to the track NFL prospects sharpened their skills and agility on a synthetic turf training area with marks and lines designed by TLI and professional trainers at IMG. 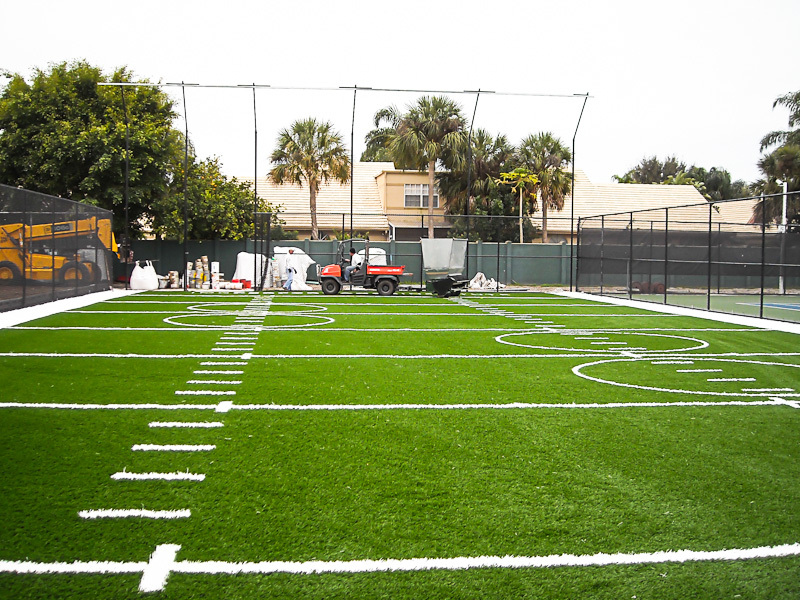 The quarterbacks were tested too, taking aim at a 25′ high by 60′ wide fully retractable target net that hangs at the rear of the training area. 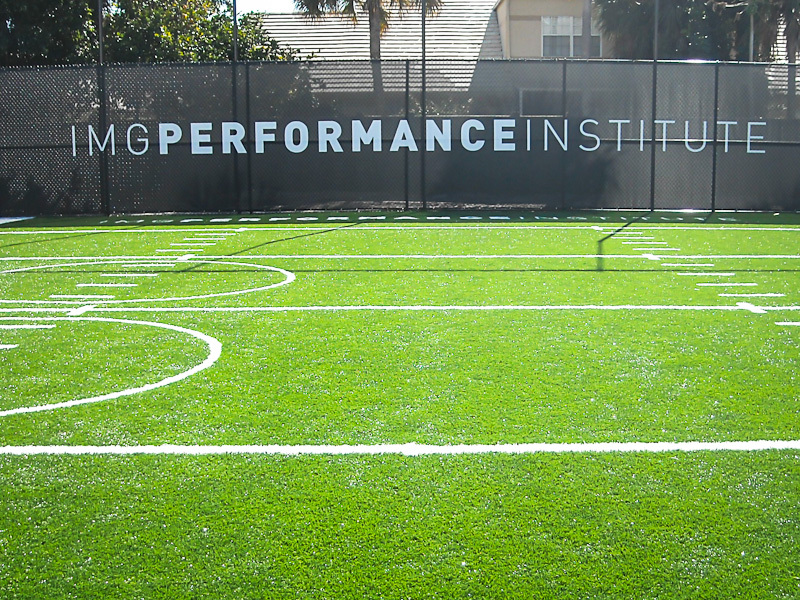 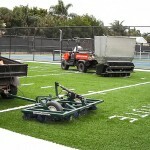 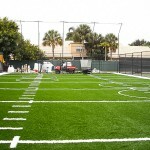 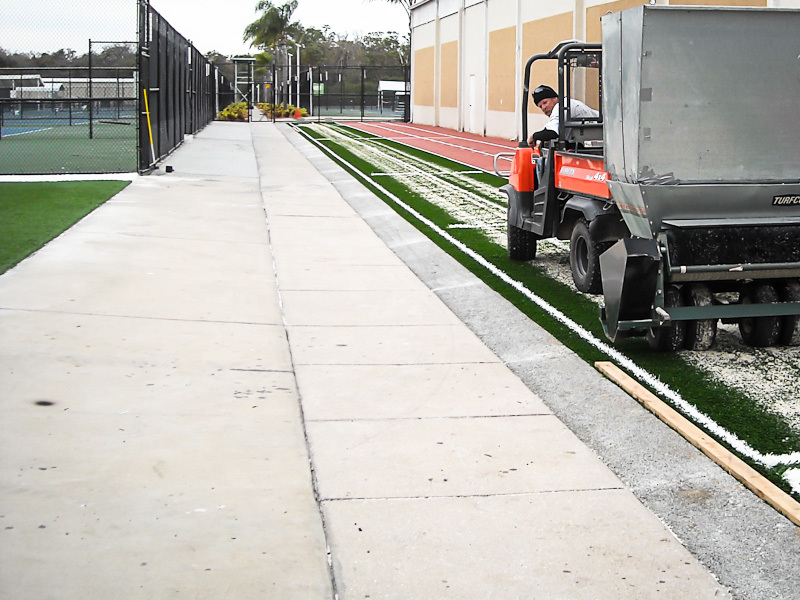 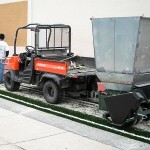 Soon after the completion of this project our crews got to work on the other side of IMG campus. 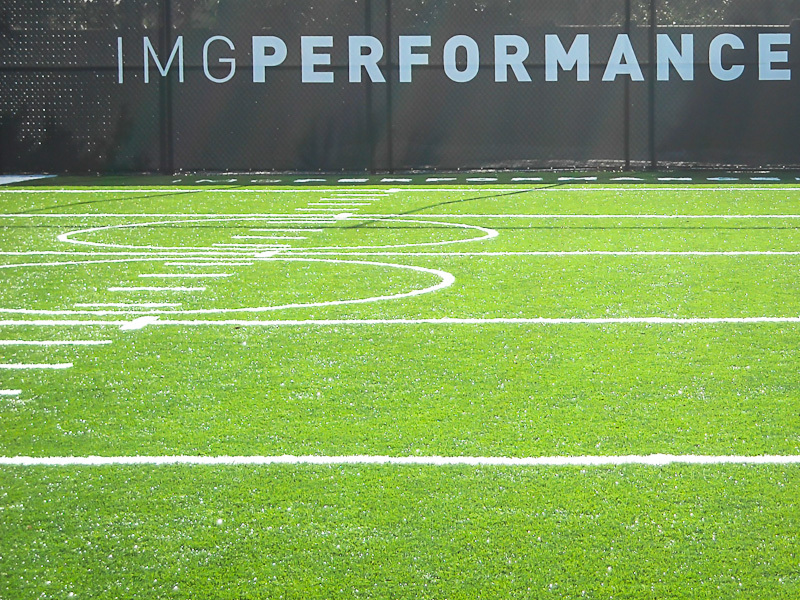 Baseball players at IMG now have use of a lighted and covered hitting area that houses batting cage turf and four retractable batting cages designed and installed by TLI.